Zoom in on a Central Park photo opp from one of The Sherry-Netherland’s Park View Suites before heading downstairs for a closer look. Capture a glint off the gilded statue of Union General William Tecumseh Sherman, presiding over the Pulitzer Fountain entrance, and step into Central Park past the double row of London plane trees. 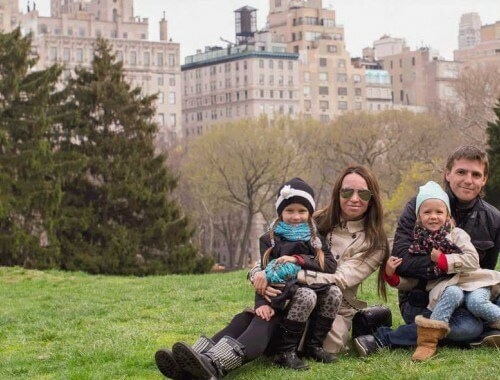 Regardless of the season, some of Central Park’s most visited spots are also the most picturesque, so it’s easy to inspire scores of Instagram admirers. 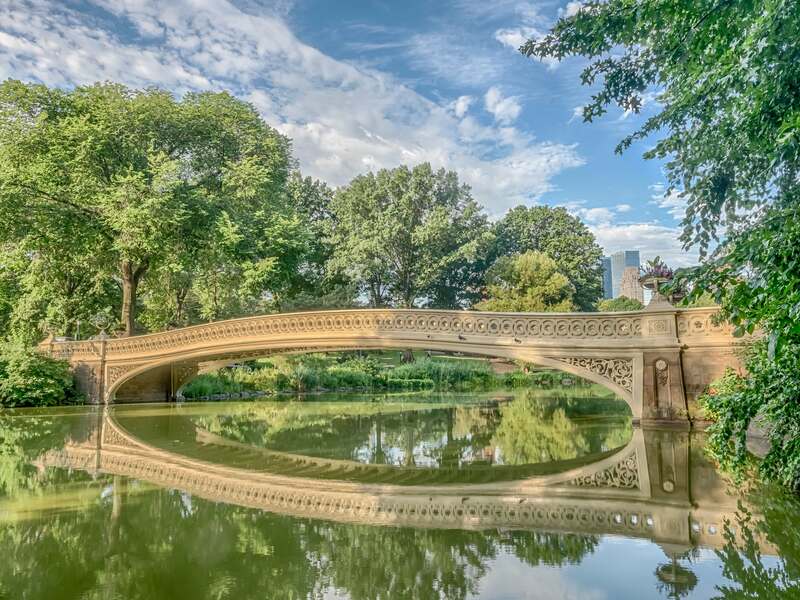 A self-guided walking tour takes in landmarks such as the Bethesda Fountain and Terrace, Wollman Rink, and the Egyptian Temple of Dendur in the Metropolitan Museum of Art. In a park that’s bigger than the entire Principality of Monaco, there’s something for everybody, including children and dogs. Got your camera at the ready? Time your start from under the whimsical Delacorte Music Clock at the entrance to the Central Park Zoo, where a rotation of statuette animals spin to 32 nursery rhyme tunes on the hour. Mid-park at 64th Street, 57 hand-carved horses and two decorated chariots adorn a super-sized antique carousel. Uptown and cross park to the west at 72nd Street, stop for a moment in Strawberry Fields where a bittersweet Imagine mosaic pays tribute as a poignant John Lennon Memorial. Steer your rowboat under willows gently sweeping the water’s surface at Central Park Lake. If it weren’t for that iconic skyline backdrop to pinpoint the shot, this outing could be mistaken for a countryside sojourn. Nearby, miniature sailboats provide photo-worthy reflections on Conservatory Water, flanked by the Alice in Wonderland statue. In winter, skaters carve icy figure eights on the glassy surface at Wollman Rink, transformed in summer into Victorian Gardens, a 12-attraction amusement area of rides, slides, and mini water park for all ages. Calling all movie trivia fans. “When Harry Met Sally,” Central Park provided the perfect canvas for a classic urban romantic comedy, equally suitable for Kermit and Miss Piggy action in “The Muppets Take Manhattan” and for “Ghostbusters.” You’ll recognize lovely Bow Bridge spanning the lake from “Spider-Man 3” scenes, recall The Bandshell in “Breakfast at Tiffany’s,” and the father-son bike lesson on The Mall featured in “Kramer vs. Kramer.” And in “Home Alone 2,” who can forget little Kevin’s heartfelt pigeon lady encounter on a park bench by Gapstow Bridge? 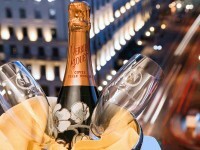 Indeed, in the corners of Central Park, you may even stumble upon a gentleman down on one knee. A magnet for staging romantic proposals, the landmark Bethesda Terrace and Fountain are second only to beautiful Bow Bridge for Central Park engagements. Looking to shoot something even grander? The turreted mid-19th century Belvedere Castle will do nicely and the clippety-clop of horse-drawn carriages call out for a snippet of video footage. Looking east, snag a one-of-a-kind skyline shot incorporating the hotel’s French Gothic/French Renaissance Châteauesque roofline with its handsome gargoyles. 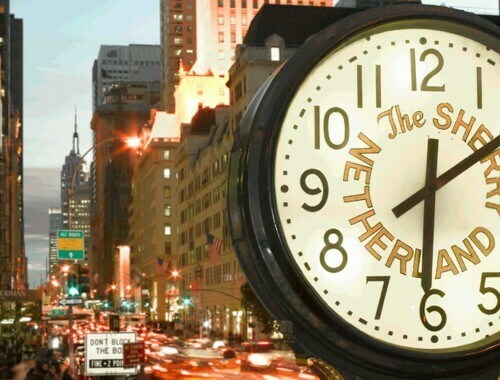 For families and guests with pets, The Sherry-Netherland is in the perfect location on the doorstep of Central Park for exploring this spectacular urban oasis together. 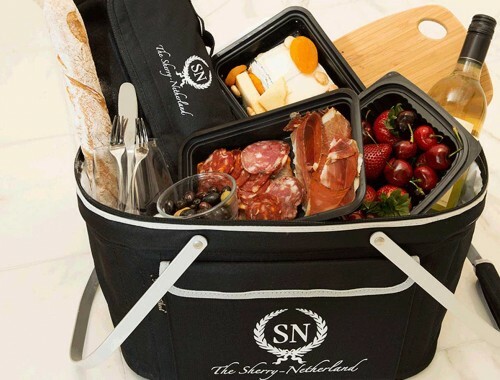 For a special Central Park experience, book our Picnic in the Park Package.